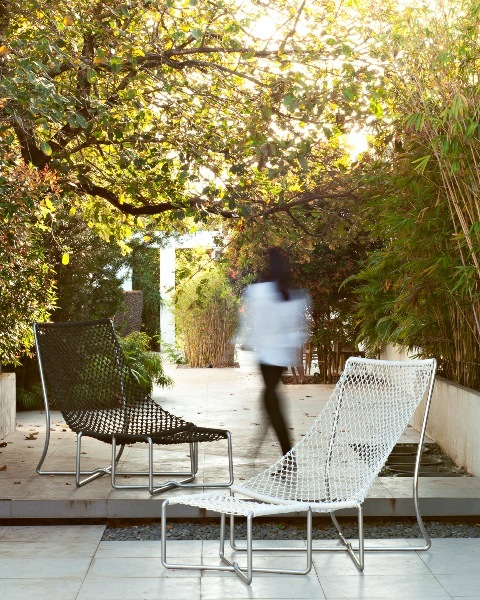 This collection is made from Reclaimed Marine Rope. This material is recycled from cast-off ship ropes-the livelihood of a local community living near a shipyard in Cebu, Philippines. 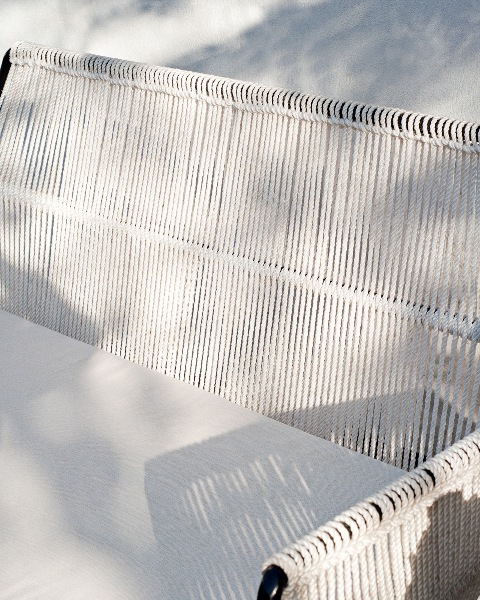 The handwoven hammock seat has some stretch to it and cradles your full body for a restful seating. 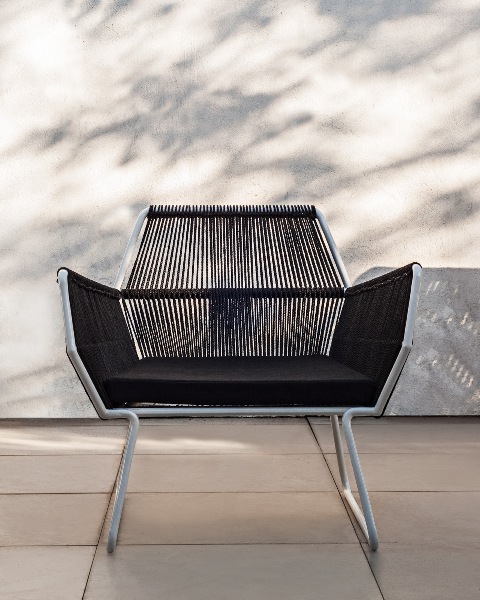 Inspired by shipping docks, it was only idyllic that the Amarre All-Weather chairs were hand-woven in one of our featured materials, the Navi’s Reclaimed Marine Rope. These ropes are available in Pearl or Black and the metal frame can be Powder Coated to your choice of colors. Please visit our blog about the Reclaimed Marine Rope to learn more about the material and the community. Inspired by organic silhouettes in architecture, this all-weather Stonecast table is perfect for any kind of outdoor and indoor setting. Featuring a striking geometric pattern, our latest table offering couldn't be sharper. 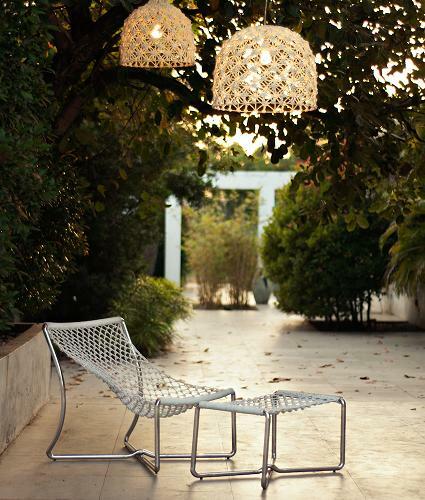 Perfect for both outdoor and indoor settings. 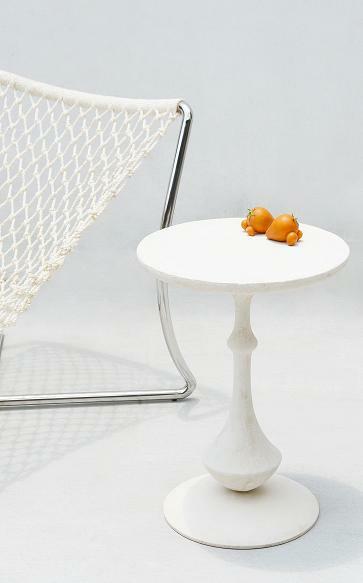 This is an all-weather accent table. 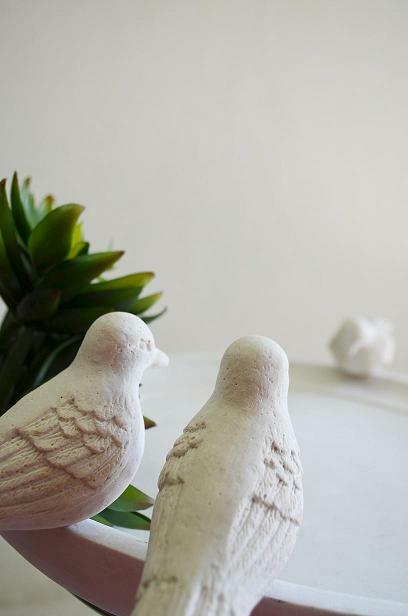 This collection tells a story about a family of birds. Mother and father lovingly looking at their offspring who is humorously tilting their bird bath. 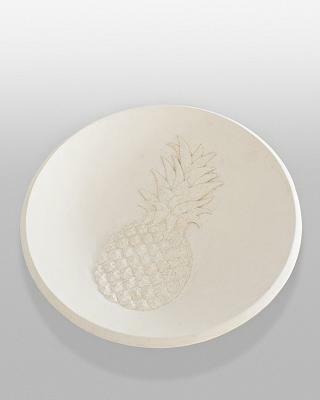 Material: The tray top is made of stonecast in two color options - natural white or gray. 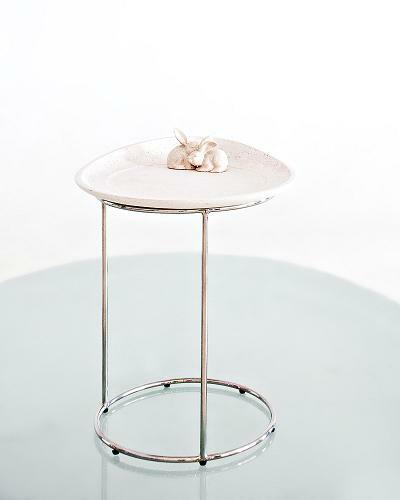 The tray is removable from its polished stainless steel base. Rivers are always flowing - a natural watercourse that gives life. Rivers can shape land by its constant movement. 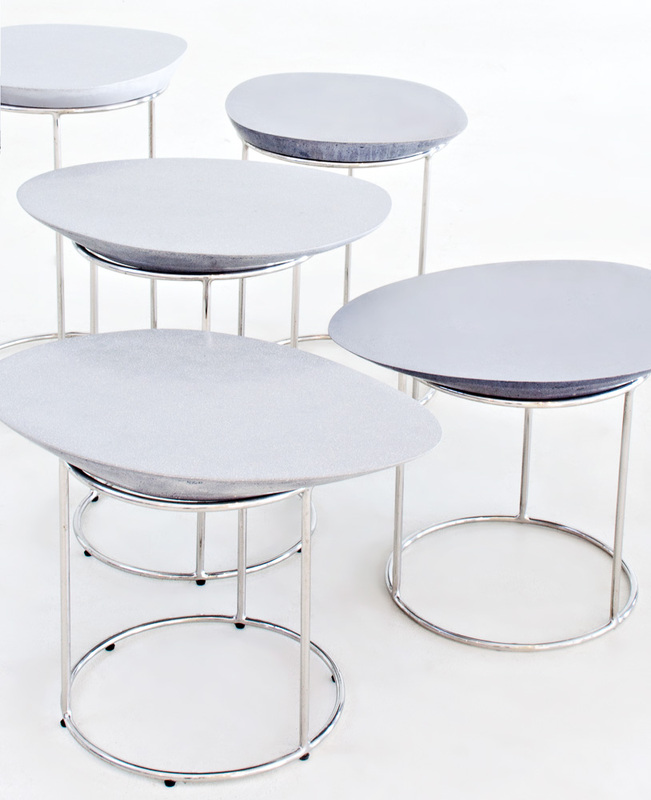 Made of gray crushed stone, the tops of these accent tables mimic river rocks and are removable from its polished stainless steel base. Spring calls out to the world to come out and play. A favorite season for men and creatures alike. The tray can be removed from its polished stainless steel base when needed to entertain during those easy spring afternoons. 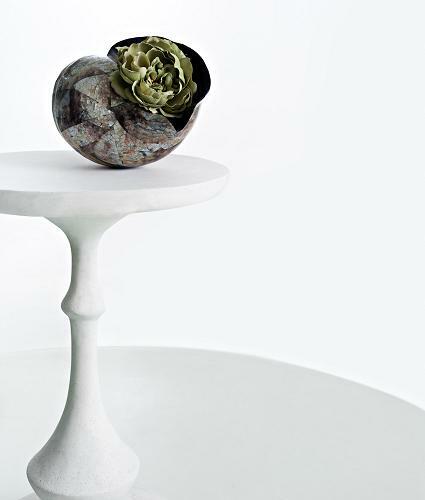 This All-Weather Vase is an ode to Fossilized Giant Clams. 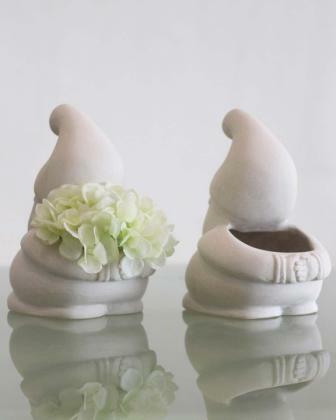 These beautifully designed creatures were very much sought after as decor for home and garden. Our version is in keeping with the shell's natural charm. 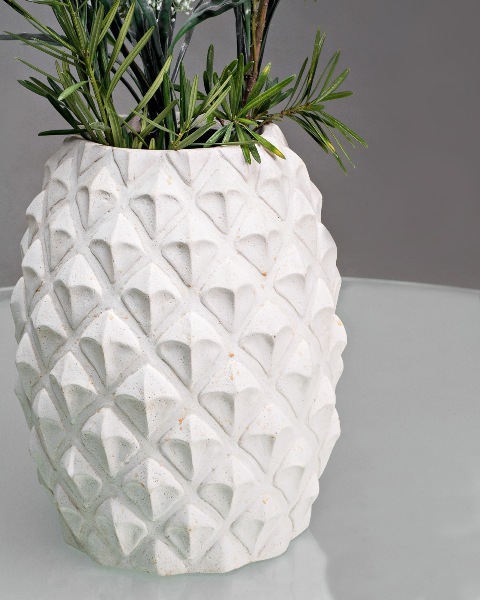 The Natural Crushed Stone makes the vase look so much like the original fossil shells and is the perfect medium for the detail and texture. There is nothing more tropical than a pineapple! 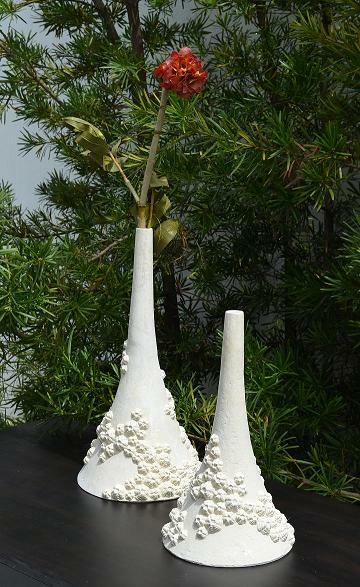 This all-weather vase and planter sculpts a perfect picture of sun, sand, and fun! The Natural Crushed Stone and the modernized details of the fruit are a great addition to warm your home and garden, wherever you may be. 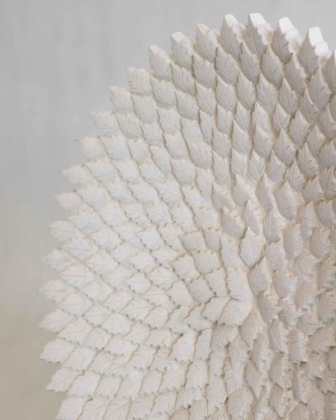 Taking inspiration from the natural shape of the angel wing sea shell (cyrtopleura costata). 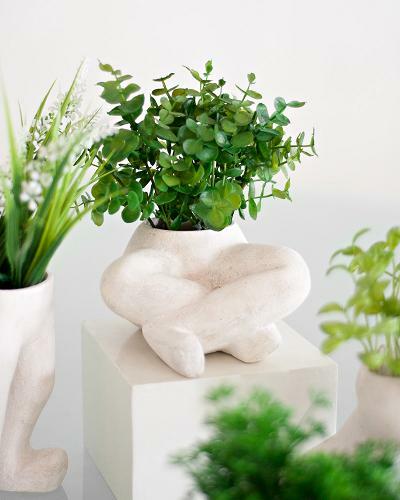 This elegant all-weather planter in natural stonecast, evokes an ethereal feeling in an outdoor or indoor setting. This collection tells a story about a family of birds perching on trees. Also available in natural stone. 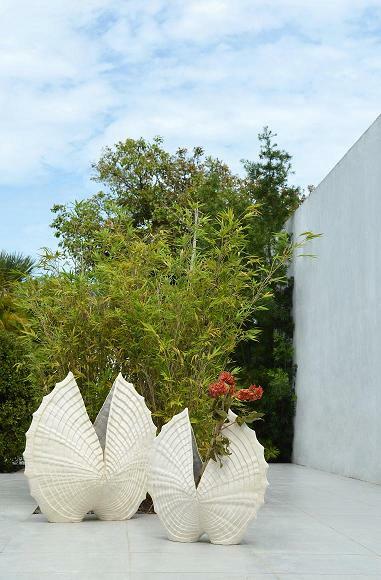 These planters make beautiful accents to your garden and home. 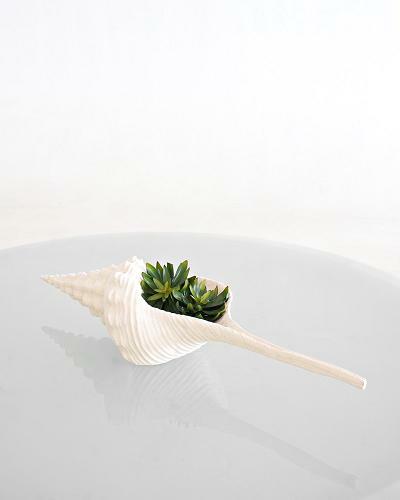 A beloved shell shape, the clam shell planter is dedicated to one of the ocean's most well-known sea shells. 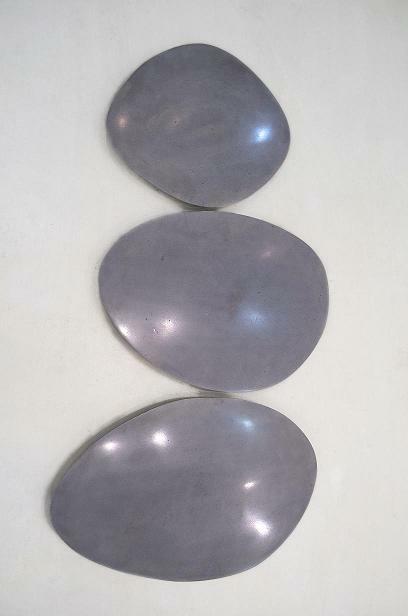 Our natural stonecast version is available in 2 sizes. These all-weather planters are good for indoor and outdoor use. 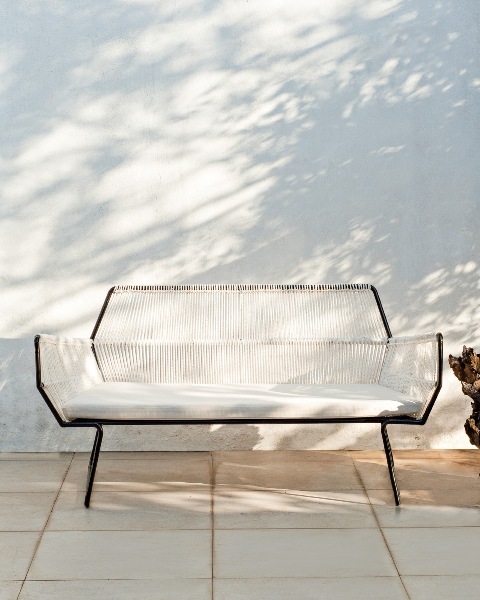 This is a welcome addition to any garden or patio setting. Nature invents the most beautiful of forms. Native to Southeast Asia, the heart shell or heart cockle, was often given to sailors' sweethearts as a token of love. We bring these all-weather planters to your home and garden. 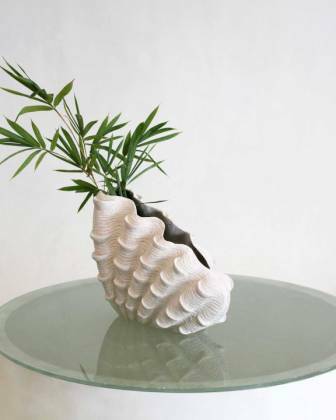 Inspired by the allure of the natural nautilus shape and it's logarithmic golden ratio, our designer shares a personal favorite with this Nautilus planter. These all-weather planters are perfect as accents for indoor and outdoor settings. 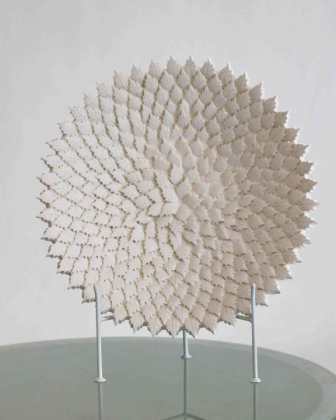 This all-weather natural stonecast collection in various shape and sizes, simulates a colony of stony coral (Montastraea Cavernosa) usually found in the Carribean seas. 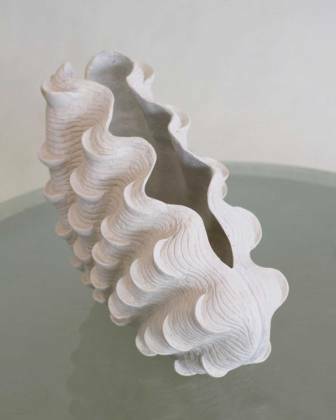 These were imagined and designed to bring sea ornaments to your home and garden. 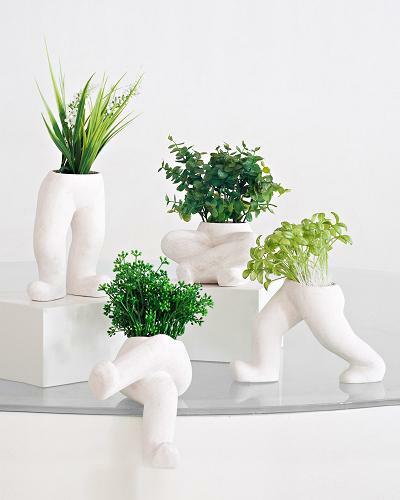 As part of our "Fun Planters" line, Levi plays on the idea of body movement. 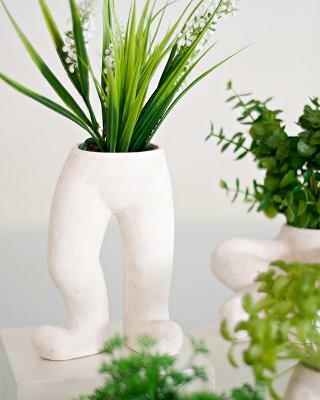 Comical in its function and form, these animated vases will lighten up your mood and the room. Levi comes to life with your own creativity on how to decorate and use them. 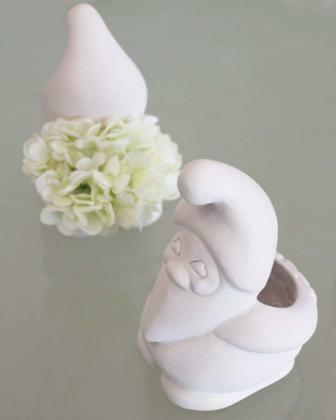 Gnomeo, Gnomeo, our little Romeo! 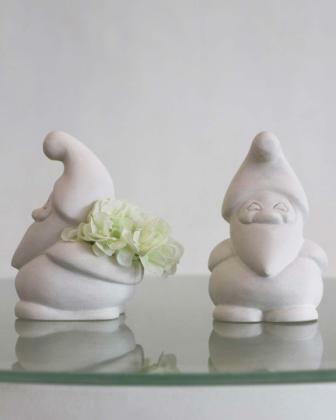 Gnomeo is full of love! He has a romantic gesture up his sleeve as he hides plants and flowers behind him. 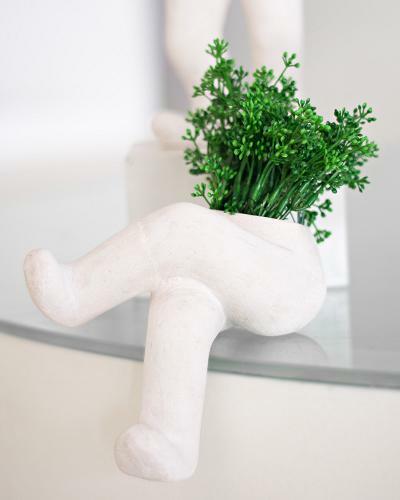 He is a fun, functional and decorative mini planter for all ages. This is an all-weather planter made of natural crushed stone that is a perfect addition to your charming home and garden. The Holly All-Weather Bowl shows a blooming pattern of detailed leaves layered on top of each other.Made of Natural Crushed Stone, the Holly Platter displays the best way to bring in nature to your space with subtlety and charm. An assortment of traditional shapes and molded by Crushed Natural Stone, the Roma Collection is sure to refine your home or garden. 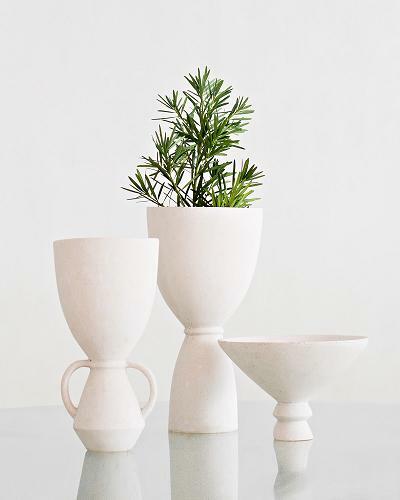 These all-weather vases and bowls come in white and different shades of grey stone and will easily blend to your style. The ocean breeds beauty and mystery like we can't imagine. Fan corals or sea whips abound in the tropics. 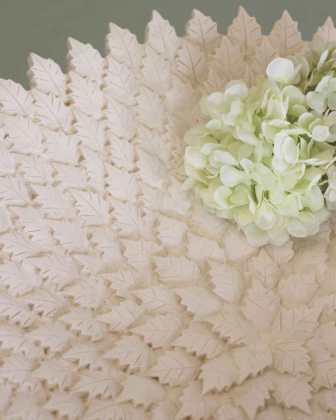 The veined patterns create a leafy and floral look. 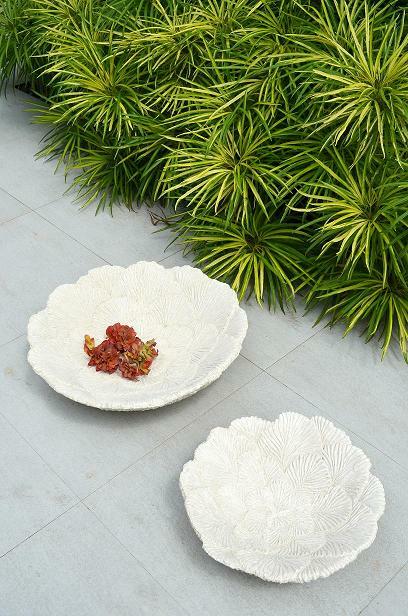 These all-weather bowls mimic fossilized fan corals embedded in the ocean depths. 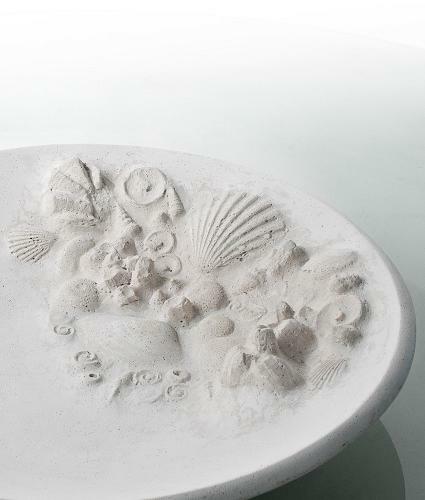 A new addition to our natural stonecast collection, these Seabed bowls resemble a myriad of fossilized marine creatures usually found in deep ocean floors. 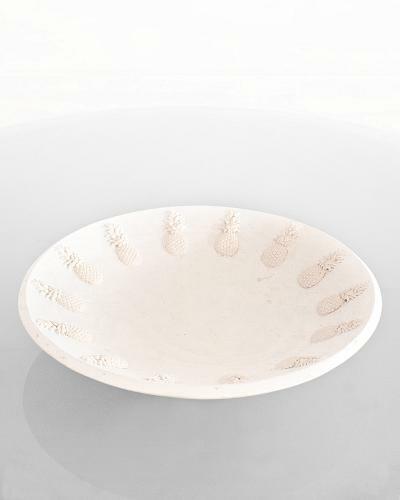 These mixed shell bowls resemble a myriad of fossilized marine creatures usually found on our beaches. You have the choice to have a Mixed Shell Pattern, Starfish, or Clam. These All-Weather Platters are perfect for your beach homes or to bring the beach into your home. There is nothing more tropical than a pineapple! 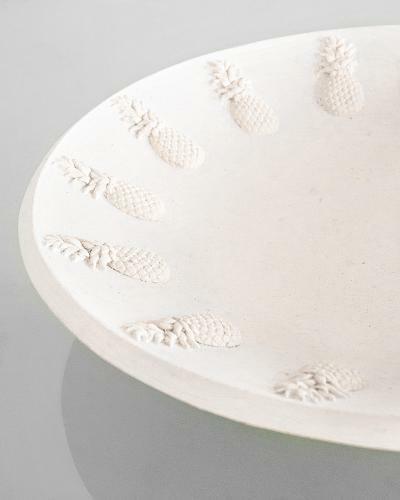 These all-weather bowls sculpt a perfect picture of sun, sand, and fun! The Natural Crushed Stone and the modernized details of the fruit are a great addition to warm your home and garden, wherever you may be. The Spindle Bowls is very much decorative as it is useful. This is a magnified version of this very popular shell. This All-Weather bowl is great for consoles, dining tables, coffee tables, and of course around the garden.